Ideal Corporate HousingNEWSAll Blog PostsTennessee’s Economy is Booming! The Tennessee economy performed well in 2016, with a 2.7 percent gain in manufacturing employment, according to a report released Thursday by the University of Tennessee. The UT Boyd Center for Business and Economic Research said in its 2017 Economic Report to the Governor of Tennessee, that nominal personal income growth in Tennessee matched the national growth of 3.6 percent in 2016. However, in 2015, the state outstripped national growth by more than 1 percent. Matt Murray, associate director of the Boyd Center and project director for the economic report, summarized it as an overall positive assessment of the state’s economy. The report, which relied on the work of nearly every department in the Boyd Center, plus outside experts, was sent to the state’s Department of Economic and Community Development, Murray said. Since 1975, the center has prepared the annual economic study and it is closely read by many in government and in businesses in Tennessee, he said. 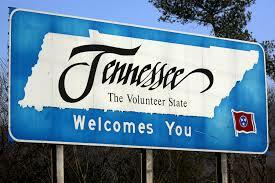 With a booming economy comes more job openings, which means relocating to Tennessee. If you are in need of short term housing, look no further, IDEAL Corporate housing is your lodging solution! Call (865) 266-8224 for more information.